Tails 1.0: The developers of Tails, the Linux distro built for anonymity and privacy, have declared the latest version Tails 1.0. Tails wires all its networking through Tor and leaves no traces on machines where its been livebooted. Its ideal in situations where you want your digital footprint minimised. Version 1.0 sees browser updates, Tor patches including a Heartbleed vulnerable blacklist, bug fixes and a new logo for the project. The announcement also lays out plans for 1.1 (A switch to Debian 7), 2.0 (better building for a longer life) and 3.0 (sandboxing and isolation) and invites developers to contribute… it is a project which has got some great reviews. Debian 7.5: Talking about Debian, the latest bugfix and patch rollup release, Debian 7.5 has just arrived. If you keep your Debian system up to date, you’re already good, but if you install a lot of systems from spinning or stickish media then you may want to take this opportunity to update your images. Full details of the fixes, bug and security, are in the announcement. Apache OpenOffice 4.1: The Apache OpenOffice project has announced AOo 4.1, the latest iteration in the direct descendent of the original OpenOffice. The release notes highlight the Windows version’s IAccessible2 support for better screen reader integration and the addition of comments and annotations for text ranges. In place field editing, interactive cropping, unified import/drag/drop for images, better vectors and new (Bulgarian, Danish, Hebrew, Hindi, Thai and Norwegian Bokmal) translations and other updated translations and dictionaries. Also, behind the scenes, AOo now uses NSS libraries rather than the older Mozilla networking code so that it is a bit more secure and a lot easier to build. LXC goes 1.0: Linux Containers, LXC, is now at version 1.0, a major milestone which also brings together and completes a lot of things that have been working their way through the Linux kernel, like support for unprivileged containers, long term stuff like a stable API – this’ll be supported for five years, bindings for Lua and Python3 (and Go and Ruby out-of-tree support), backing storage support for directories, btrfs, zfs and more, cloning, snapshotting… and you may wonder “Hey, doesn’t Docker do many of these things” and yes it does, so it’ll be interesting to watch how things all work out. 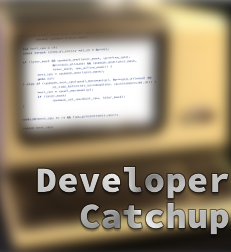 More details at the news post and check out Stephane Graber’s 10 part blog series on LXC 1.0 which is packed full of useful stuff. Thrift double opened: Facebook brought Thrift(PDF) to the world in 2007 via Apache Thrift and many people found the network/data serialisation framework well handy. Thing is though that Facebook went and forked their own internal version of Thrift as they filled out the features and ramped up performance, something that took major rengineering over time. Now the company has announced fbthrift, available on Facebook’s Github repo, now open sourced under the same Apache 2.0 licence Apache Thrift is under. Worth reading: WhatsApp’s Serving : From 2012, here’s a presentation on how WhatsApp does scale(PDF) with a combination of FreeBSD and Erlang – A New York Times profile of security reporter Brian Krebs who’s more like an entire security intel op in one person – Enjoy Stephen Colebourne on video presenting the Java 8’s Date and Time API at JAX 2013. Talend go Apache: Talend, makers of integration, ETL and other data management products, have long been proponents of the GPL license for their products. I’ve asked them about this in the past and they’ve been robust in their reasoning about why the GPL is right for them. It appears though that that era has come to an end with an announcement that the company will be stepping towards more permissive licensing. They first plan to move to LGPL with version 5.4 of their products then to Apache in 2014. They’ve been steadily exposed to permissive licensing as they have built Talend ESB on Apache projects and when they went to release “Talend Open Studio for Big Data” they decided to go with Apache for better compatibility with the Hadoop ecosystem. That product, they say, is “arguably the most adopted product from Talend, ever” and that inspired a licensing rethink. An interesting change (and if you’ve not looked at Talend’s software, check it out… there’s some powerful integration mojo in there). Mozilla’s new video hire: Xiph.org founder Monty Montgomery is off to Mozilla amicably leaving his current employer, Red Hat, for a chance to work at Mozilla with the other Xiph developers. Current work in progress is the Dalaa video codec which is setting out to be a free to implement and use, and technically superior alternative to h.265 and Google’s VP9. Mozilla is primary sponsor on the project and talking to Gigaom, Montgomery says progress on Dalaa is solid and there could be commercial products using it by the end of 2015. It looks like Mozilla are making sure that they aren’t caught again between a rock (h.264) and a hard place (VP8) in the future. Oracle and Java fix time: It’s time for Oracle to drop its metric shedload of fixes for October. Short version, there’s a Java 7 update 45 (release notes) now available with security fixes for 51 vulnerabilities nearly all of which are remotely exploitable and with eleven scoring the full 10.0 on CVSS scores and nine scoring 9.3. Typically, most Java holes are around the sandbox, WebStart and applets, but two of the 10.0 critical holes affect servers too. Update your Java 7; if you are still on Java 6, you now have two problems. VirtualBox 4.3: A new version of Oracle’s open source VirtualBox has arrived. The changes in version 4.3 are sufficient for it to be called a major update. The VT-x code and AMD-V code, the guts of the virtualisation, has been rewritten to fix bugs and improve performance. There’s a new instruction interpreter that can step in when hardware virtualisation isn’t able to handle something. New notifications, better keyboard short cuts and support for video capture have been added to the GUI while support for emulating USB touch devices, webcam passthrough and SCSI CD-ROM emulation have also been added. There is also a new virtual router mode which lets multiple VMs share one NAT service. And obviously, there’s oodles of bug fixes. The text-search library Lucene and Solr, the search platform built on top of it, have both been updated to version 4.5. Version 4.4 came out in July so what’s changed in this version bump? Well, first of all, for Lucene, the DocValues mechanism which allows typed storage to be associated with documents has been updated to allow for missing values and there’s now an in-memory supporting DocIDSet which is more efficient for carrying around smaller lists of documents. Other changes can be found in the Lucene 4.5 release notes. Solr 4.5, as usual, benefits and supports these changes as it is built on Lucene, but the search platform has also had its own set of improvements. For example, when running a sharded cluster, its possible to now set up custom routing to the various shards, including routing based on field values. Faceted searches are now multi-threaded, the solr.xml configuration file is now storable in ZooKeeper and the CloudSolrServer has the ability to send updates directly to shard leaders. 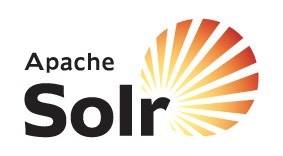 Again, more details are available in the Solr 4.5 release notes and the PDF of the updated Solr reference guide is available through the Apache mirrors. Both Lucene and Solr also have various bugfixes and performance improvements.